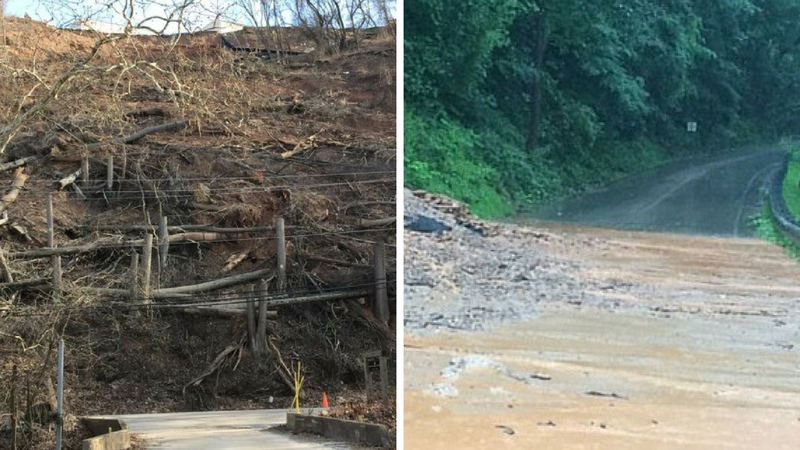 The Wolf Administration announced today that preliminary construction will begin in February on a project to stabilize, restore and improve flood-damaged sections of Balligomingo Road in West Conshohocken. Balligomingo Road has been closed to thru traffic since June 2015 due to slope failure areas encroaching approximately 200 feet of the roadway between Portland Road and the Interstate 476 overpass. Under this project, PennDOT’s contractor will stabilize the failure areas by installing rock protection and a retaining wall; install new drainage systems to properly carry roadside and slope runoff to nearby Gulph Creek; and mill and pave Balligomingo Road. “These projects will address the current slope failure areas and restore the roadways to a safe condition for use by the public and emergency services,” Governor Tom Wolf said. Wolf’s quote utilized “these” because the Balligomingo project is one of three he announced that involved that slope failure. The work is projected to be completed in the spring of 2020.